Today is the first day of Spring! Luckily Boston is actually having a springlike day. Thank you weather gods! There is nothing like the illusion of spring to get me happy and inspired. Longer days, patio dinners, runs along the Charles = bliss. So, what do I think is the best accessory for these busy and fun-filled days? Why The Backpack of course! It is impossible to deny that the back is having a moment. 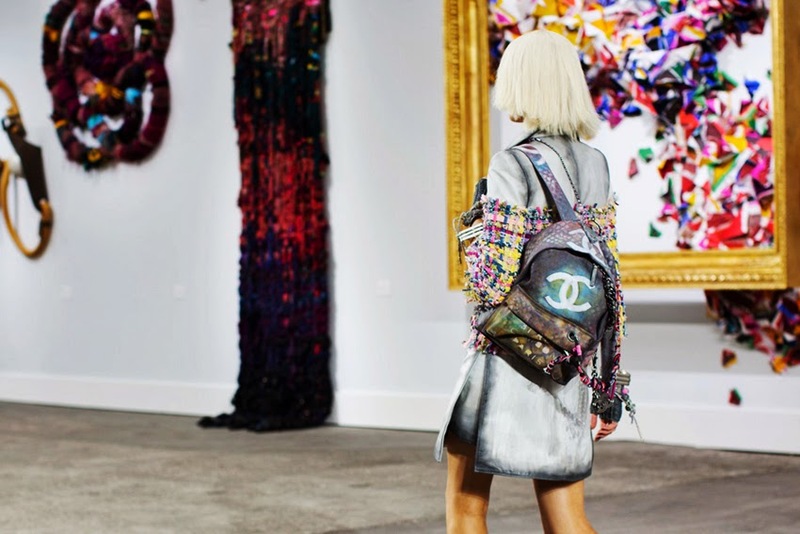 Chanel has guaranteed that happened when sporty and disheveled looking backups graced the models in its SS 2014 fashion show. Quite the statement! You know you spotted it all over street style images during the AW 2014 fashion weeks & haute couture fashion week as seen before Jean Paul Gautier's show. However, just because the sporty messy look is not the one you go for does not mean there isn't a backup out there for you! Below are my top two backpacks at either end of the sporty and structured spectrum, as well as, corresponding outfit looks for inspiration! See left for image details! 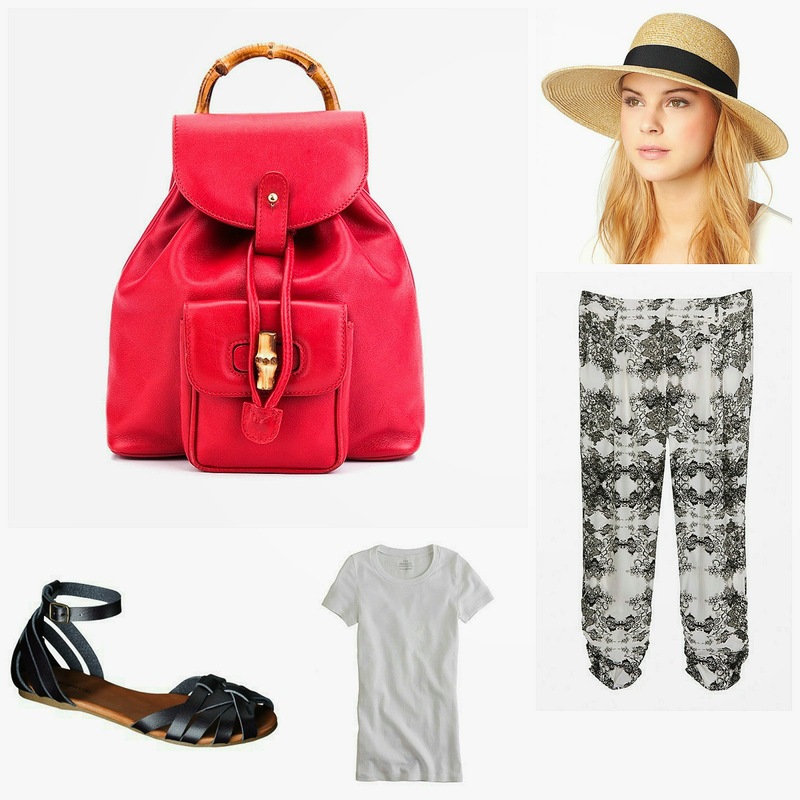 First and foremost I present this bright red vintage Gucci backpack that I have been eyeing on Vaunte. Not only is the color divine but the structure and bamboo detail make it ladylike perfection for your future travels! I picture strolling through Italy's cobblestone streets as you peak into stores and stop for a gelato in huarache sandals, silk patterned loose pants, basic t shirt and a wide brimmed hat! The red backpack is now sold out but Gucci has relaunched the style in an updated version for $2,590. However, if you spend the majority of your days running between classes, group meetings and your part time job; you probably need a backpack that is practical without sacrificing the coolness factor = Jansport's High Stakes backpack. I spotted this backpack at Starbucks last week and I will be purchasing it for my sister currently in college. 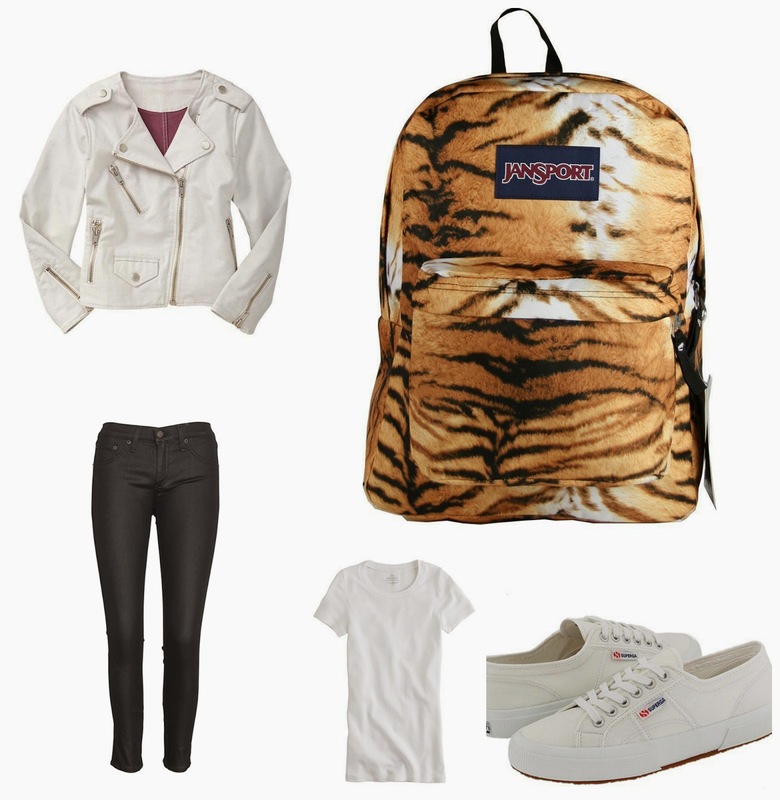 Pair with a bright jacket, skinny jeans, that basic tee and some Superga sneakers. Now matter what your style, there is a backpack for you!